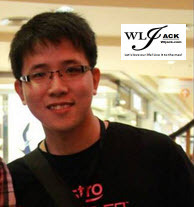 I am W.L Jack 华龙, currently a final year medical student and a full time blogger (event journalist/photographer)! Via this website, I am gonna share about everything which I feel nice to be shared with. Besides events news, I hope can share more on other genre of stuffs such as food, travel, games, music, tech stuffs and etc.